I love, Love, LOVE messy line drawings. I have been working on perfecting my technique for this and have found such an EASY way to get this look and I will show you how. 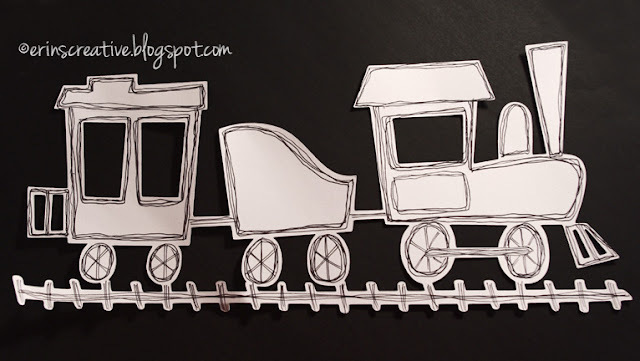 First, with either a Cricut, Silhouette, Cuttlebug, etc...start with a die cut. 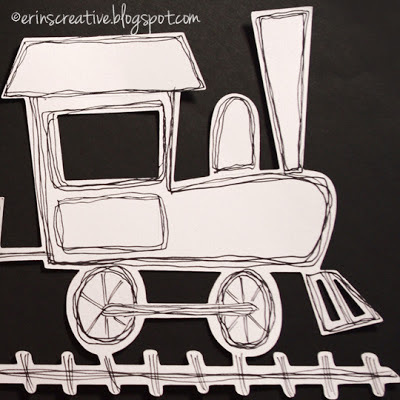 I have been working on trying to catch up in my scrapbooking and I needed a train, so that's what I used. Aside from a die cut, you will also need a marker. I used a 03 (which is approximately 0.35mm thick) prismacolor art pen. 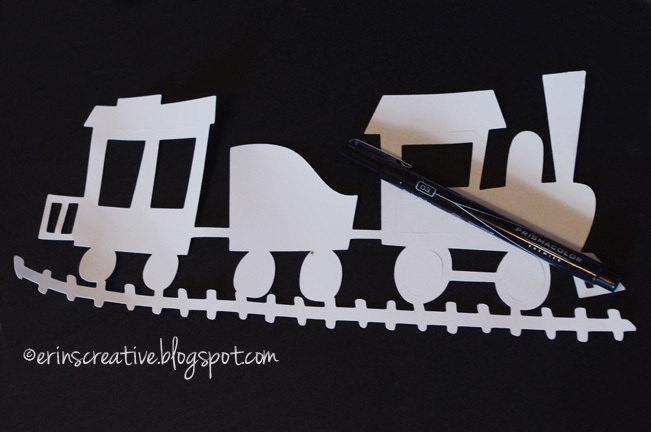 I have done this with fine point sharpies too, but you would need a larger die cut since it creates a thicker line. Look at your die cut and think about the shapes. Everything can be broken down into shapes and lines. 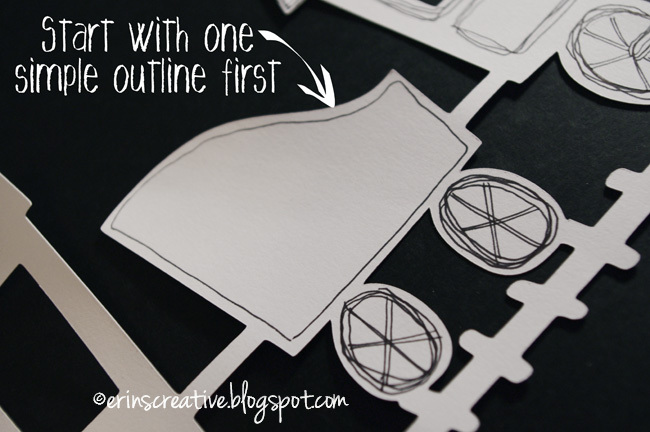 Then start with one outline. 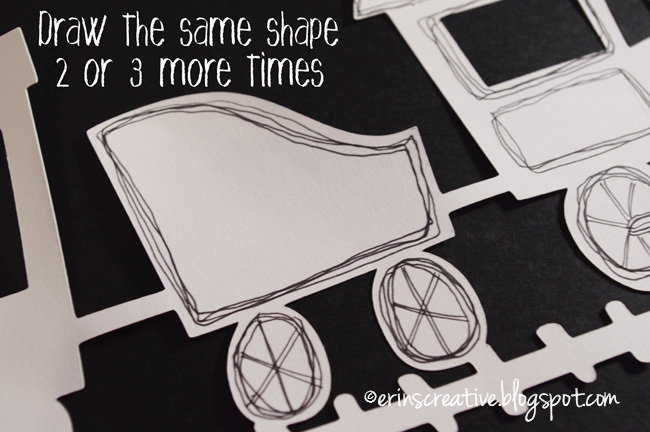 When you start drawing your shape/outline again, it doesn't have to be perfect. The more imperfect it is, the better it looks. Keep repeating this same process all over your die cut and once you are done, you have a perfectly messy line drawing that you are going to love! up, Up, UP in a Tree!